Rebo trampolines have been around for years and spent a lot of time and effort investing in the latest trampoline technology. Here at Trampolines Online, we supply an amazing range of Rebo trampolines which come in various size and are suitable for your garden space. 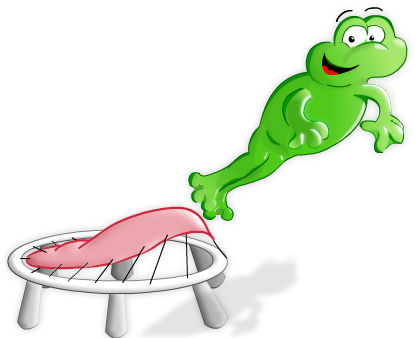 We are currently stocking up on more Rebo trampolines, so make sure to check this page for future updates. We are proud to mention that we would with Rebo as it is one of the largest trending trampoline brands in the UK, this is because their trampolines are manufactured from the highest quality materials. Safety enclosures are one of the most important factors of a trampoline because they are risk-free and as a parent, you won't have to worry. All of these Rebo trampolines shown on this page have built-in safety enclosures, the reason for this is because we want your children to play safely. If you want a trampoline without safety enclosures, please don't hesitate to ask us. We actively promote children and adults to ‘Exercise through Play' because it keeps your energy levels up, keeps you active, healthy and fit. Also, there are various types of exercises you could do, for example, aerobic exercise, knee tuck, side reach, side to side or general bouncing. A great way for children and adults to exercise and play is through our Rebo trampolines. Compared to other trampoline companies and suppliers, you won't find better deals anywhere else apart from Trampolines Online. For instance, these Rebo trampolines come in various sizes, from 8ft to 11ft and when purchasing one from us, you could save £150. On top of that, each Rebo trampoline as an accessory pack! So don't miss out on our extensive range of Rebo trampolines. Our online store has trampolines manufactured from some of the biggest trampoline brands in the world this includes Upper Bounce, Supertramp, Telstar and many more. Click on the links to find out more. Here at Trampolines Online, we are dedicated to delivering you top quality trampolines from well-known trampoline brands. Rebo trampolines are one of the best around, so if you're thinking of purchasing one, call us on 0333 3660062 and speak to one of our assistants to discuss in further detail.